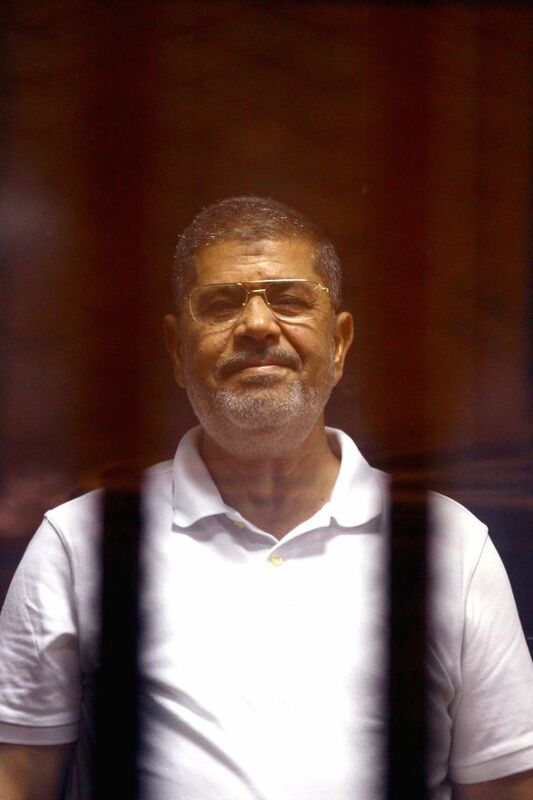 CAIRO, July 7, 2014 - The deposed Islamist president Mohamed Morsi is seen inside a glass defendants cage during his trial in Cairo, Egypt, July 7, 2014. Morsi is currently in custody for trials in a number of charges including ordering the killing of protesters, insulting the judiciary, espionage and jailbreak. A Cairo court on Monday adjourned the trial of Morsi over the charge of jailbreak to July 13.